The Algerian police fired tear gas in an attempt to spread the crowds Friday after the protests, calling for President Abdel Aziz Bouteflika to be dismissed, smashing them. Thousands are assembled for the sixth consecutive Friday of Mass Males Management Protests. Earlier this week, a general general, Lt. Gen Ahmed Gaed Salah, to the President's position as a vacant. On Friday, the riot police used tear gas and water cannons to spread crowds in the center of the capital, Algiers, news reports from Reuters. How does the inclined President Bouteflika go to Algeria? 9659007] Demonstrations against Mr Bouteflika started last month after the president, rarely seen in public since he hit a stroke in 2013, announced that he would stand for another period. In response to the demonstrations, the President later decided not to stand for a fifth period in future elections that have been delayed. The protesters called this a cynical feature to extend its two-decade rule and now demand the end of not only the president but also a whole generation of Algerian political leaders, including those who would be in line to succeed him . Lt. Gen Gaed Salah – who is also Deputy Minister of Defense and considered loyal to Mr Bouteflika – this week called for the use of Article 102, which allows the Constitutional Council to declare vacancy vacant if the leader is unfit for the government. The ruling party, the National Liberation Front (FLN), supported the General's call. Opposition parties and protesters in Algeria were not impressed with Lt Gen Gaid Salah's proposal to trigger Article 102 of the Constitution. 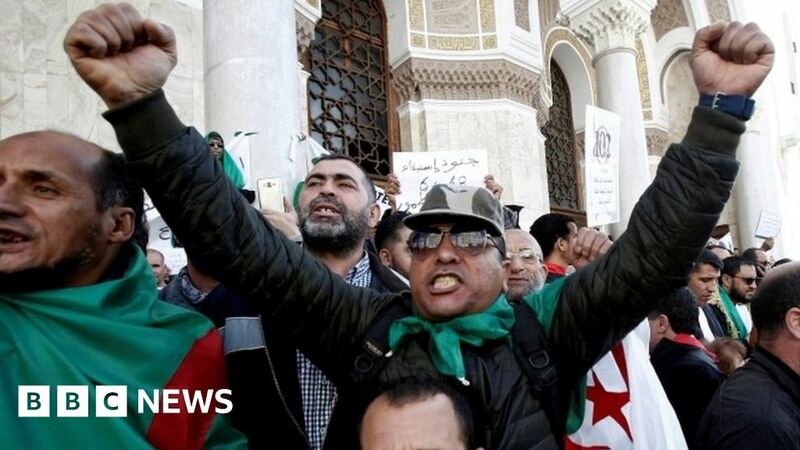 The majority of protesters are young, who are not involved in party politics and who say they are not interested in excluding Mr Bouteflika to see power transferred to his former allies – to bring different faces to the same regime. It is difficult to predict what will happen because there are no indications that opposition parties have any influence on the protesters who have no leader or spokesman who could talk to the authorities. The army clearly wanted an end to the crisis when they abandoned Mr Bouteflika in an unexpected move. But they have to find an influential party to discuss the procedure with. At the moment, the expectations of the demonstrators are very high, as they require the departure of "everyone who has been connected to the regime", but they do not offer an alternative. Lt Gen Gaid Salah had already rejected the idea of ​​"removing all" as expressed in the protests and on social media.